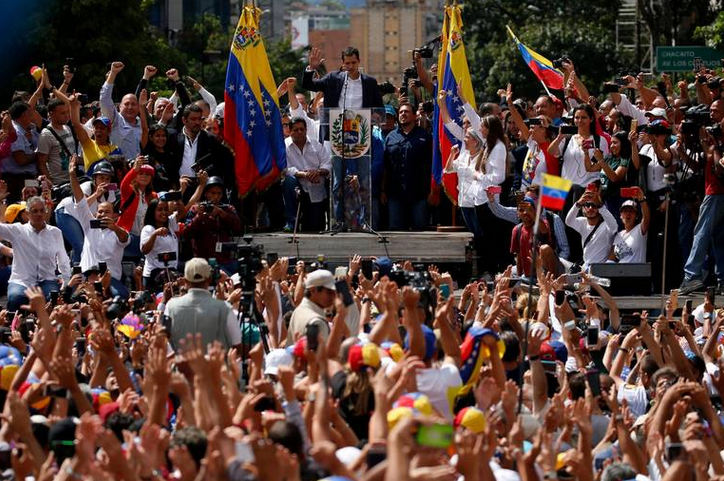 A long time ally of Venezuela, Haitibroke with Maduro earlier this month when it caved to U.S. pressure and joined the U.S, Canada, Colombia and others in publicly condemning Maduro as he began another six-year presidential term. In all, 19 OAS nations voted “not to recognize the legitimacy” of Maduro, who has been accused of conducting a sham election. He was declared the winner by the regime-controlled National Electoral Council. “Fear should not triumph over principle,” he said. “As small island-states, we must continue to stand on the various principles, the principle of non-interference, and non-intervention as well as respecting the sovereignty of states. … If we are going to continue to aid and abet these excesses by powerful nations, then the cycle will continue. Haiti is in violation of the OAS Charter which has its very basis on NON-INTERVENTION as stated in Articles 18, 19 and 20. This is a clear case of Intervention. The OAS Charter only recognizes one form of passive reaction anat is cancelling Diplomatic Recognition. President Moise has morons as political advisors. All of this is falling on deaf ears. They are too busy robbing the government funds and taking the resources out of the country by the boatload. President Jovenel Moises have no choice he is an indirect product of Hillary Clinton in Haiti, under Trump he might end up in the same situation as Maduro. Is not politics interesting?